Restaurant Wars. It’s the one challenge every single incoming chef thinks about prior to the start of the season. Sometimes Tom and company do it with ten competitors left. Sometimes they do it with eight. Much to the delight of the ten people left in the game, the judges decided to make it ten this year, and without a quickfire, the players were thrown into the twenty-four hours of hell as soon as this week’s episode started. All involved drew knives in order to split everything down the middle, and as usually happens, the results were less than balanced on paper. One side ended up with Shirley, Nina, Carlos, Justin and Sara, while the other group got Nicholas, Brian, Carrie, Stephanie and Travis. In theory, it should have been a pretty vicious asswhooping doled out by the first group, but as often happens, teamwork proved to be a far more important factor than raw talent. 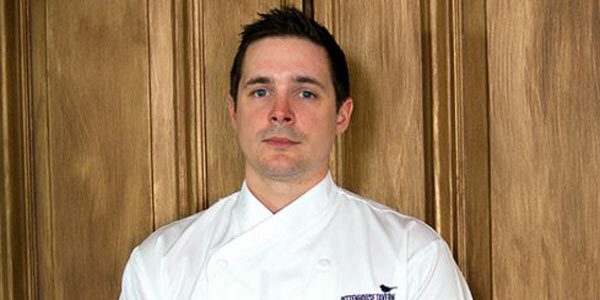 Justin, who took on the executive chef role, could not get the personalities in his group on the same page. Sara was an absolute disaster working the front of the house (probably the worst I’ve ever seen), and no one could understand any of the tickets written by the servers. Consequently, food came out late or to the wrong tables, and most of what actually made it to the plate was far from a home run, especially Justin and Sara’s dishes. Thanks to some great front of house work by Travis and very good delegating by executive chef Nicholas, the other team rolled along like a well-oiled machine. They sent the food out on time. They supported each other in the back, and they generally behaved like seasoned workers who didn’t throw a restaurant together in a single day. Obviously, they took home the win, and as executive chef, Nicholas got the personal victory. From the losing side, there were really only two possible choices to send home: Justin for failing to bring everyone together and making a below average dish and Sara for her disastrous front of house service and below-average dish. In the end, the judges decided the service was so bad it superseded everything else. Sara didn’t even bother explaining any of the dishes, apart from her own, and her lack of organization clearly hurt the back of the house, as well. The Top Chef Power Rankings are an ordered compilation of weekly lists put together by TV Blend writers Jessica Rawden and Mack Rawden. Each week after viewing the episode, they each rank the competitors in order. Nineteen points are given for a first place vote, and this week, eleven were given for a last place vote. Ten competitors have already been eliminated; therefore, those people automatically occupy the bottom slots. Here is how this week’s voting panned out, complete with analysis on how the contestants might fare moving forward. #1) Nina Compton (38): Nina doesn’t exactly have the personality to smooth problems over between various team members, but she does have the talent to put her head down and make a damn good dish. That’s what happened during Restaurant Wars, as she churned out the judges’ favorite dish on her team. It wasn’t enough to propel the group to victory, but it was enough to comfortably keep her safe. #2) Shirley Chung (36): Despite also being a loser, Shirley handled herself pretty well. She made a dish the judges liked, and she didn’t cause any issues with her teammates. In a perfect world, she would have stepped up and helped to facilitate better communication between the front and back of the house, but that’s not exactly her personality either. Luckily, she’s still around, and she has the talent to go places. #3) Carlos Gaytan (34): It is astounding that Carlos and company couldn’t pull it together this week. The three highest rated chefs were all a part of that squad, but alas, it just didn’t work out. Carlos didn’t particularly help either. His dish was okay, but the judges weren’t happy with how the snapper was cut. He comfortably advanced, of course, but for his sake, I hope we see more performances like last week and less like this week. #4) Carrie Mashaney (31): Carrie didn’t get a ton of praise because Nicholas and Travis both put in their best performances to date, but her flavorful dish quietly helped propel her team to victory. As the best chef on an outgunned squad, she needed to lead by example, and that is exactly what she was able to do. Once upon a time, it looked like she might cruise to the finals. The picture is a little more muddled now, but she certainly has the skills to still get there. #5) Justin Devillier (30): Justin, Justin, Justin. This marks the second awful time at bat in a row for the talented New Orleans chef. I get why he was so flustered that the tickets weren’t being written correctly. The entire service portion of the restaurant was a disaster, but that doesn’t excuse the fact that his dish wasn’t particularly well-conceived or tasty. #6) Nicholas Elmi (28): Cool, collected and just the right level of assertive, Nicholas was far and away the best player on either team. In fact, if this had been the first episode, he would have easily cruised to the top spot. He was that good. Unfortunately, this isn’t the first episode. So, while it’s nice to see him show just how great he can be, he’s going to need to do it for a few episodes in a row to start numbering among the favorites. #7) Brian Huskey (26): Just when you start to think Brian might actually have a shot to make the finals, he goes to the store and buys the wrong ingredients. It’s tempting to give him a free pass, but a lack of foresight and common sense have cost him a few challenges before. 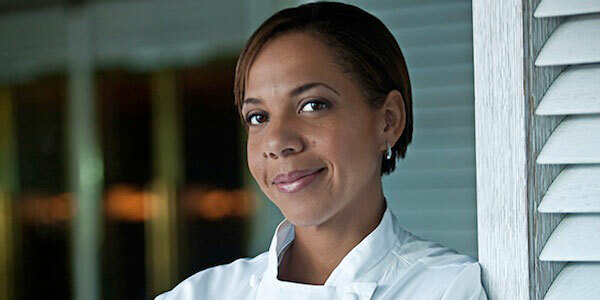 Plus, while he’s a very, very good chef, he needs to be operating at full capacity to compete with someone like Nina. #8) Stephanie Cmar (25): Stephanie performed well during Restaurant Wars. The judges raved about her pasta and she was very relaxed and easy to work with. She’s clearly an excellent chef, but she just hasn’t had enough double take moments of brilliance to place her anywhere near the top of the pack. She needs to throw the gloves off and just full on dominate about two weeks in a row. #9) Travis Masar (22): The Power Rankings are sometimes unfair. Look no further than poor Travis’ placement to see that. Without question, he had his best week this time around. His food was pretty good and his front of the house work was a complete and utter success. Padma and company said it was the best they’d ever seen in the history of the show. That’s saying a lot, and he deserves a pat on the back. Since his food was only give a lukewarm thumbs up, however, it’s hard to actually move him up the list.